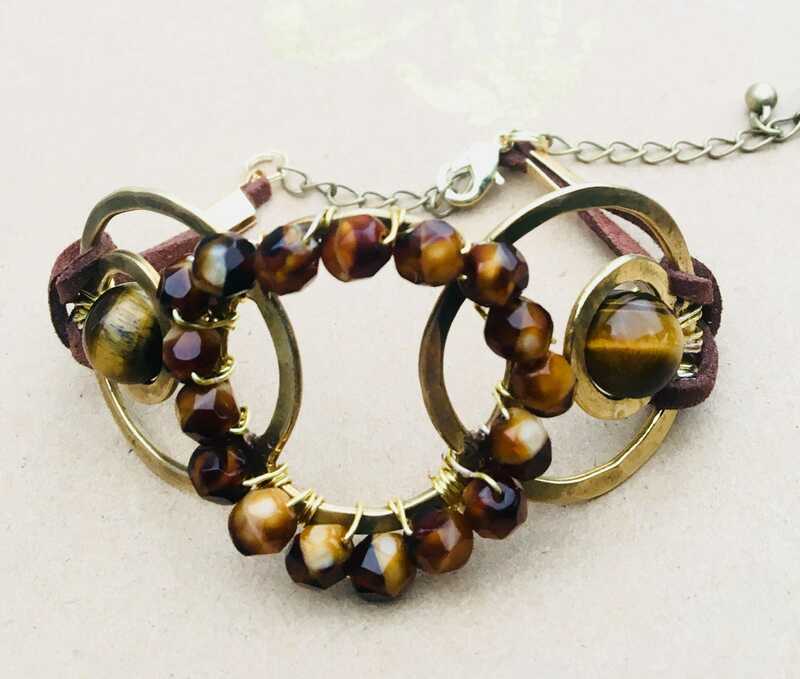 An upcycled vintage inspired rustic metal frame is wire wrapped in stunning tiger eye beading. Chocolate suede attaches to the wrist. This cuff is made for all wrist sizes as it is fitted with a charming extender that features a beaded embellishment. This beautiful bracelet is a perfect Valentines gift for your wife, girlfriend or any lucky girl. 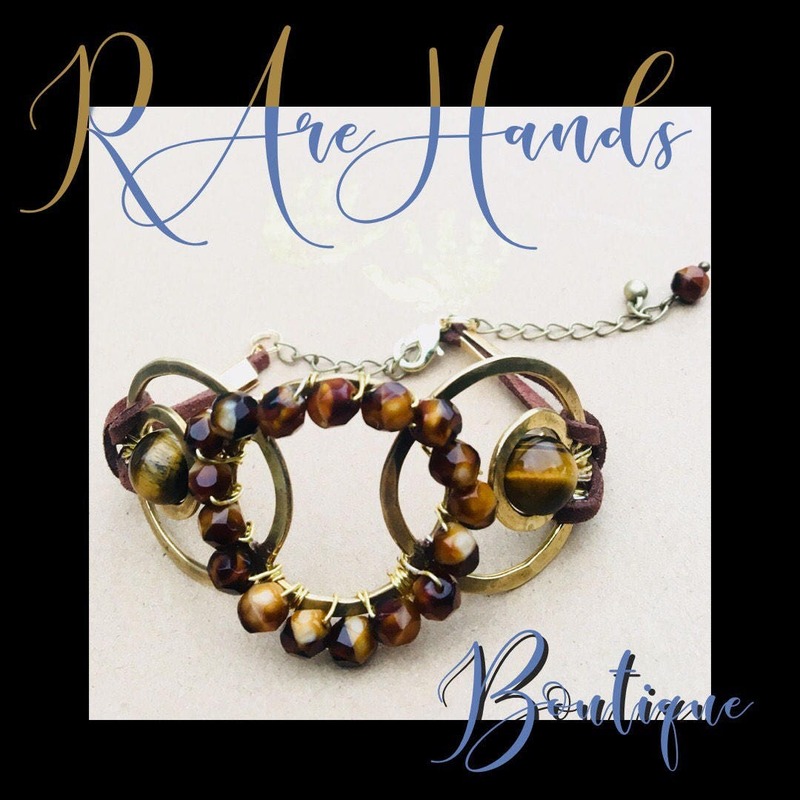 Made in the RAreHands Boutique Studio by myself Kate Kaufman, the owner and designer. Having been diagnosed with Rheumatoid Arthritis almost 20 years ago I started RAreHandsBoutique to inspire people with chronic illness to be creative as a form of therapy. RAreHandsBoutique gives back 10% of profit to Arthritis research.RAreHands Boutique is located in the amazing city of Austin Tx.